Please consider making a donation towards the Woodland Opera House during the Big Day of Giving on May 2 https://www.bigdayofgiving.org/woodlandoperahouse. Please “Play Your Part” in helping the Opera House continue to provide the best productions and education programs for our community. The Circle of Friends at Woodland Opera House provides necessary additional support for our wide range of programming beyond the Mainstage series. Individual and Corporate donations help keep the performing arts alive and vital in the Sacramento Valley region. Pease consider making a tax-deductible contribution. Checks can be made out to The Woodland Opera House Endowment Fund or The Woodland Opera House. We also accept Visa and Master Card. The restoration of the Opera House began the drive to save and restore downtown Woodland, which has resulted in the preservation of much of the town’s past and character. 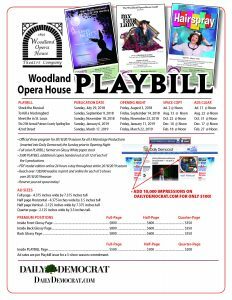 The Woodland Opera House receives no state funding, therefore, In 1997, the Board of Trustees established the WOH Permanent Endowment Fund to provide for the maintenance and preservation of our historic facility.  Gifts to the fund will never be spend, only income from the invested funds may be used for building repairs, renovations, or equipment replacement. The Endowment Fund reached a significant milestone in 2003, surpassing $300,000 and generating enough income to allow for funding of regular maintenance projects. The goal is to have the Fund support all repair and maintenance costs, ensuring the continued use of the Opera House for future generations. The Endowment Fund has grown through gifts of cash, stock, memorials, and bequests. Donors of $2,500 or more may make a permanent seat dedication in the auditorium. The Opera House is an IRS-recognized, nonprofit institution and all gifts have tax advantages. A tax professional can help answer your questions regarding how to make a gift to the Endowment. Complimentary tickets. Underwriters receive up to 80 tickets to the production for use as gifts to employees, friends, patrons, clients, or to use for a special event. Special reception. Underwriters may designate one performance as a special event with block seating for the show and use of the Mid-Level Lounge for a private reception before the show. Meeting space for your group. Underwriters have priority for scheduling complimentary meeting space at the Opera House for small to large meetings during business hours. Sponsors help ensure the high quality of our productions by donation of funds for hiring of professional artists and increased budgets for publicity and promotion. 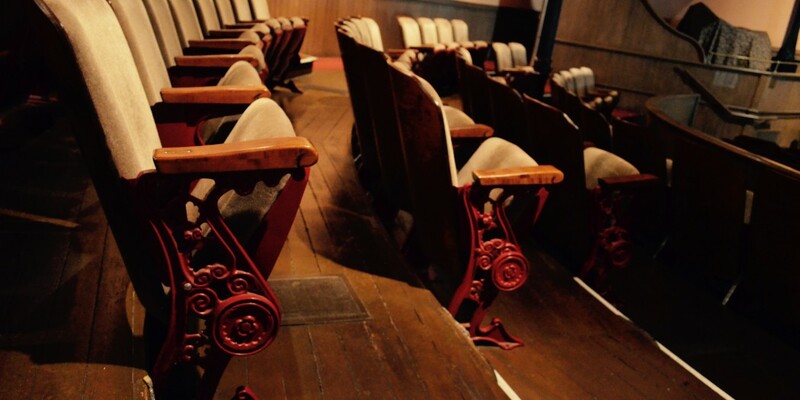 Each year thousands of patrons from a seven county area attend our award-winning plays and events at the Opera House, giving our sponsors significant regional exposure. Sponsor recognition. Your name and/or logo will receive prominent placement on all promotional materials, including playbills, and posters. Complimentary tickets. Sponsors may receive up to 10 tickets to a production for use as gifts to employees, customers, patrons, clients, or friends. Complimentary tickets. You may receive up to 25 individual tickets to any Opera House production, plus two season tickets. Meeting space for your group. Season sponsors have priority for scheduling complimentary meeting space at the Opera House for small to large meetings during business hours or for a reception before or after a show. Complimentary tickets. You may receive up to 40 individual tickets to any Opera House production plus four season tickets. Personal backstage tour. Go behind the scenes with your own guide, meet the actors, and hear the history of the Opera House. The Woodland Opera House depends on the generosity of those who help! A wish list is one way for your to contribute. We also participate in the Amazon Smile program, where many of our wish list items can be purchased and shipped directly to us. It’s convenient and always appreciated!